Congratulations to ViQueens legend Shellie Milward, who has been selected in the Australian Wallaroos squad. 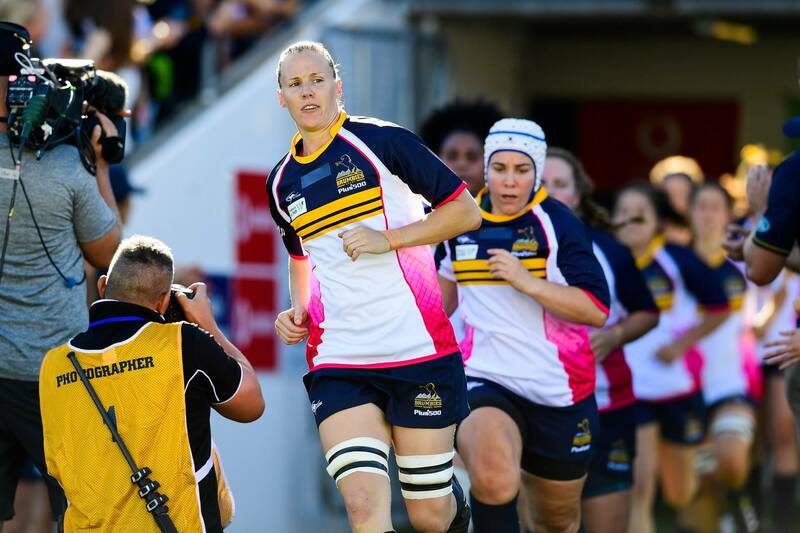 This is a massive achievement for Shellie, who has been a leader of Women’s Rugby in the ACT for several years and recently captained the Brumbies Super W team in their inaugural campaign. Shellie made her debut for the Wallaroos in 2014 against New Zealand, later being selected to play in the World Cup in Paris that same year. At a local level, Shellie has been a regular for the ViQueens as Captain and has worked closely with the Committee to champion the Club’s Women’s Rugby program. While we are thrilled for Shellie, a special mention must also go to Tayla Stanford and Peta Cox, who after having outstanding seasons themselves just missed selection. The Wallaroos loss is our gain, with the girls now able to suit up for the ViQueens in their finals campaign.